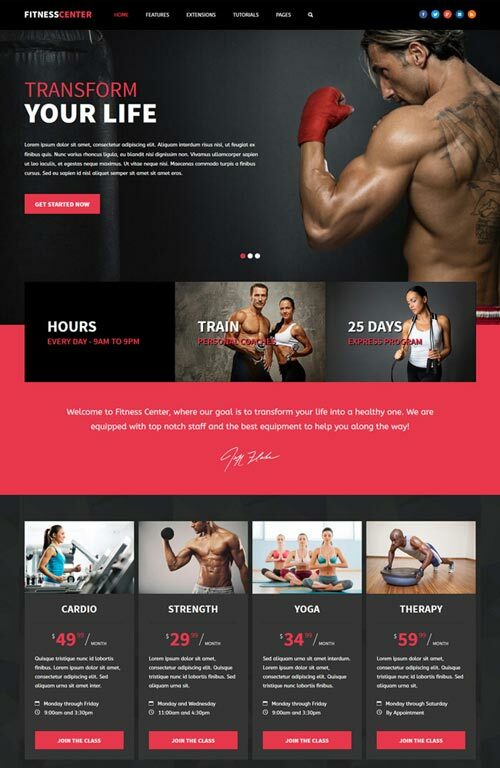 Fitness Center from Shape5 is one of the most extensive and beautifully designed Joomla fitness template available! This design comes packed with great features to get you up and running quickly! Some of our great Shape5 extensions were used this month including: S5 Tab Show, S5 Masonry, S5 Image and Content Fader, and S5 Quick Contact. In addition to that this template comes with other great features like custom color options, custom fonts, a floating menu, enable or disable uppercase letters, and much more!